The Husqvarna Viking® line of sergers are a great way of being able to get those nice finished edge to your many different projects.  From you basic serging to rolled hems these sergers are designed to work for you! 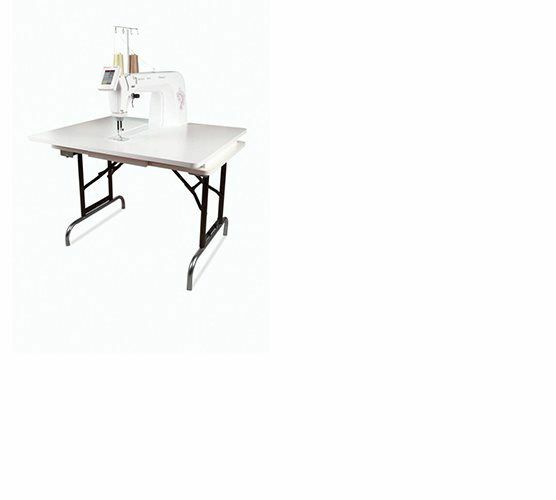 The Husqvarna Viking® Huskylock™ S25 is the top of the line serger. This five thread machine has 25 different stitches from doing a 5 thread cover lock, three thread rolled hem, and much more. This machine features a touch display that allows you to see the serging before you do your edges. 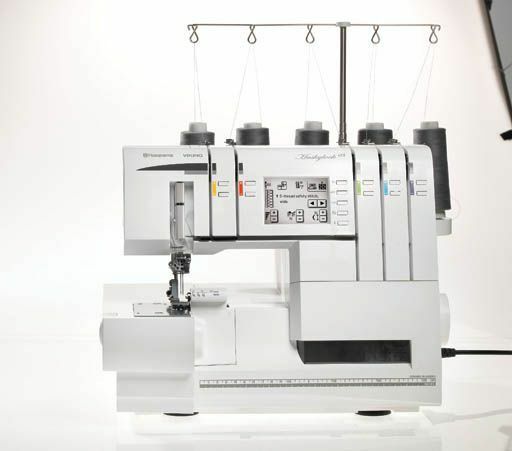 On top of that, it features the Sewing Advisor™ which allows you to tell the machine what type of fabric you're working with and it gives you the best suggested settings for your project. The Husqvarna Viking® Huskylock™ S21 is the mid-line four thread serger with the capability of being able to do a four thread cover lock. The S21 has the ability to do 21 total stitches. You have complete control of the machine being able to adjust everything accordingly to the project you are working on. You have the ability to be able to do ruffled edges, three thread rolled hems and so much more. 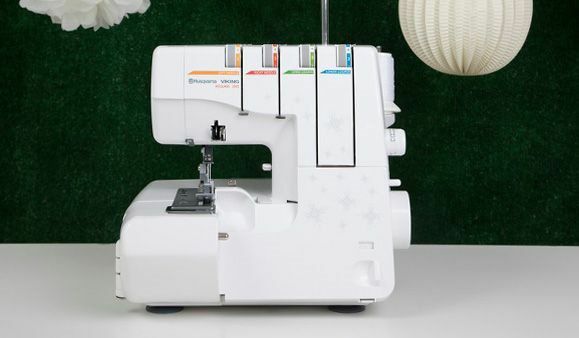 The H|CLASS™ 250S over lock machine by Husqvarna Viking® is fantastic serger for beginners and experts alike. With an easy threading system, it takes all the frustration out of having to rethread a serger by being able to open up the machine front entirely (be able to see both of your loopers) and having a tension disk release when you lift your presser foot. This four thread machine can do 12 different serge edges. This machine also has differential feed on it for those particularly hard to serge fabrics! Come on in and check out our floor model! Love to free-motion quilt but struggle to fit your project in a small space? The Husqvarna Viking® Platinum™ 16 is your answer! This large 16" throat machine provides ample space to work on those larger projects. 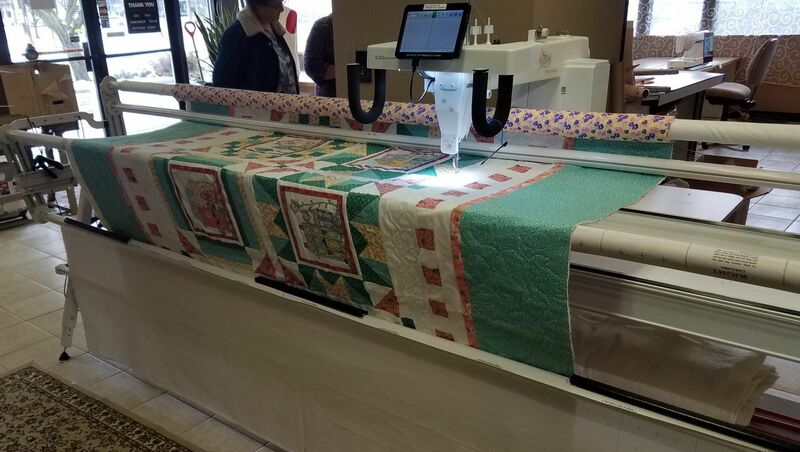 The table, that's included with the machine, provides a nice smooth surface to be able to move your quilt projects with ease. 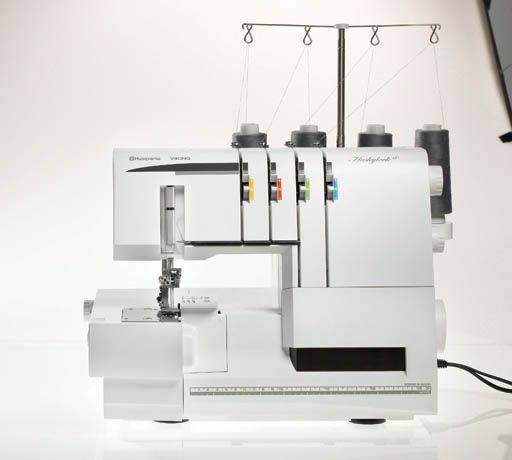 The Platinum­™ 16 can sew as fast as 1500 stitches per minute allowing for quick work! An optional accessory, the TruStitch­­™ regulator, allows for you to turn the machine into a stitch-regulated machine allowing for even stitching throughout your quilt. Come on in and check out our floor model!